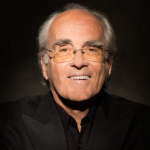 For the first time in the UK, three-time Oscar winner and seven-time Grammy Award nominee Michel Legrand performs and conducts his most cherished film scores. Performing with the internationally renowned Royal Philharmonic Orchestra, a world-class rhythm section and special guests, the ensemble plays live to scenes from Legrand’s classic films. An evening of spellbinding music performed on an epic scale by some of the world’s most accomplished musicians awaits you. Legrand’s impact on 20th century music cannot be overstated and this once-in-a-lifetime concert celebrates the unforgettable scores from The Umbrellas of Cherbourg, Yentl, Summer of 42, and Wuthering Heights. The evening also features tributes to Jean-Paul Rappeneau (The Scoundrel, A Matter of Resistance), Steve McQueen (The Thomas Crown Affair, The Hunter, Le Mans) and more. Beginning his meteoric rise to fame as accompanist to Maurice Chevalier, Legrand went on to be at the forefront of the French New Wave, collaborating with Jean-Luc Goddard and Jacques Demy, with whom he invented a new genre of film music. His worldwide reputation was cemented with ‘The Windmills of Your Mind’ from The Thomas Crown Affair, and no other European composer has a filmography that includes Orson Welles, Marcel Carné, Clint Eastwood, Norman Jewison, Louis Malle, Andrzej Wajda, Richard Lester, and Claude Lelouch, to name but a few. His songs have been sung by Frank Sinatra, Tony Bennett, Louis Armstrong, Liza Minnelli, Kiri Te Kanawa, Yves Montand, Charles Aznavour and Barbara Streisand. Don’t miss the opportunity to see this legendary film composer in action. Absolutely love the music of Michel Legrand! Michel Legrand is a LEGEND!! !